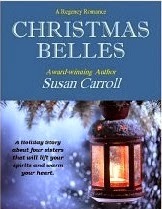 A Girl and Her eBooks: Christmas Belles by Susan Carroll - FREE! Villains can come in many disguises, even with a handsome face and a gold-braided uniform. So thinks Chloe Waverly when her father's untimely death results in an unknown naval captain being appointed guardian to the four Waverly sisters. Chloe dislikes the harsh Captain William Trent upon first sight, especially knowing that he plans to marry her oldest sister, Emma. Although Emma loves a poor clergyman, she feels it her duty to accept the wealthy captain's proposal. Chloe is determined to rescue her sister from a loveless match to one whose heart seems as cold as ice. But somewhere during all the Christmas celebrations, Chloe discovers that beneath the captain's stern military bearing is a lonely man imbued with a gentle gallantry. To her dismay, Chloe finds herself falling in love with her sister's fiance. She is unaware that William Trent has realized that he has pledged himself to marry the wrong sister. But with the wedding day looming closer, is there any honorable way to resolve this situation? It will take all of Chloe's faith and the magic of Christmas to unravel this tangle of hearts. Author Susan Carroll weaves a charming holiday tale about the enduring power of love and hope. Chloe favored him with a sudden shy smile. "I am sorry, Captain, about how horrid I have been ever since you first came. I really would be glad to have you for a brother if only I could be sure that Emma will be happy." She paused, giving her head a rueful shake as though determining not to open any old quarrels. "But it is very difficult when you have three sisters and all of you are so close, and a gentleman comes to take one away." "You will feel differently when it is your turn. If we are indeed going to be friends, I wish you would call me something besides Captain." "All right," she said, and then with a soft hesitation, "Will." He had meant for her to call him Trent, as his friends did. No one had ever addressed him as William, let alone Will. But he didn't correct her, the sound of that single syllable on her lips strangely sweet. 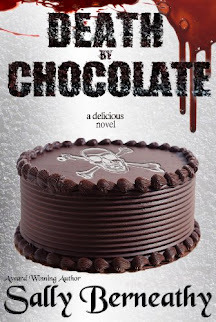 When they were on the verge of retiring from the parlor, she startled him by standing on tiptoe and suddenly kissing his cheek, her lips warm, whispering perilously close to the corner of his mouth. Chloe must have perceived his astounded expression, for she pointed upward. "The mistletoe," she said. "Merry Christmas, Will." "Merry Christmas, Chloe," he replied gravely. She left him then, making her way up the stairs, smothering a tiny yawn. As he watched her vanish into the darkness, there was only one problem. Trent touched his hand to where he yet felt the sweetness of her kiss. For one moment there, when her lips had grazed so near his own, his impulses had been far from brotherly.